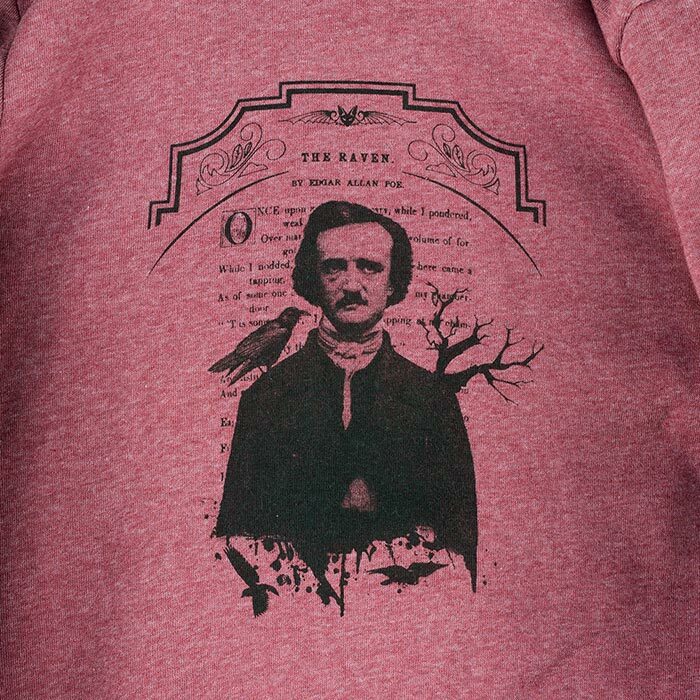 A knockout when it comes to style and comfort, the Alternative Apparel Rocky Hoodie features a design of mine of an ink bottle and quill on the front and a design based on a vintage engraving of Edgar Allan Poe on the back. Design is printed in black on a heathered Eco True Burgundy colored Hoodie. Signature Eco-Fleece is crafted from a uniquely imperfect blend of organic cotton, recycled polyester, and naturally occurring rayon. 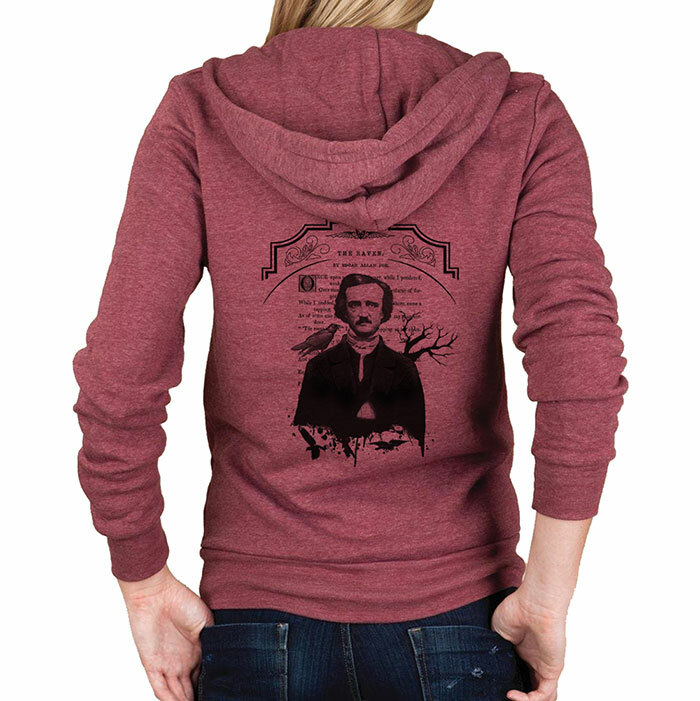 Sustainable Eco-Fleece is made from 50% Polyester, 46% Cotton, 4% Rayon. Separate by color, machine wash cold inside out (to reduce pilling). Line dry or tumble dry low. 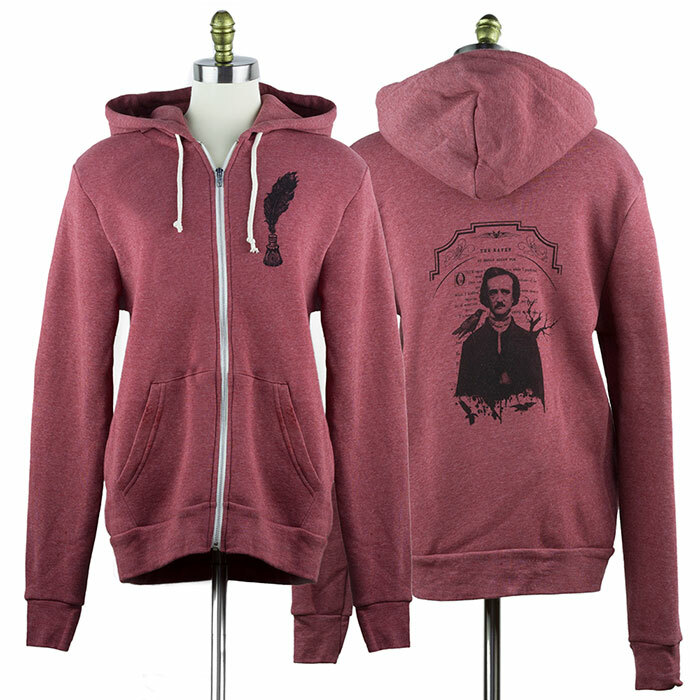 Burgundy XS 1 in stock. Burgundy XL 1 in stock. Burgundy 2XL 1 in stock.